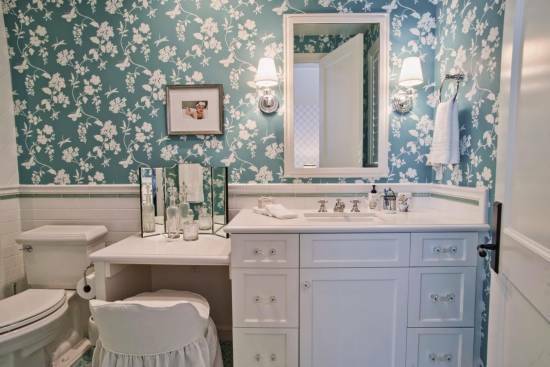 Thinking of revamping your bathroom? Are you short on ideas? Fret not. 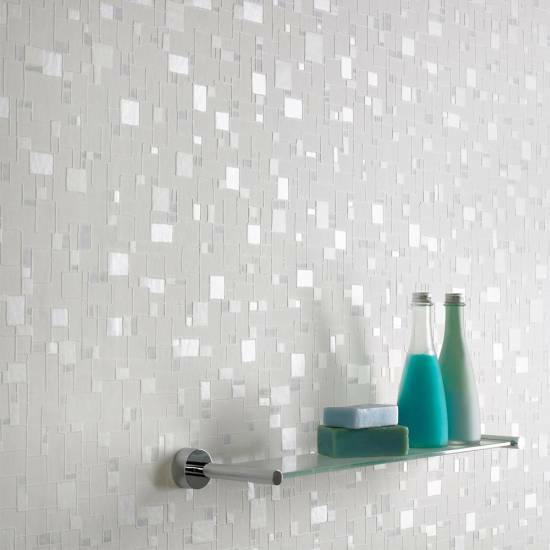 One of the best ways of completely altering the way your bathroom looks is to add bathroom wallpaper on the dull and dreary walls. Not only can it add an instant appeal but serves as a cool way to bring some character to an otherwise dull and drab space. 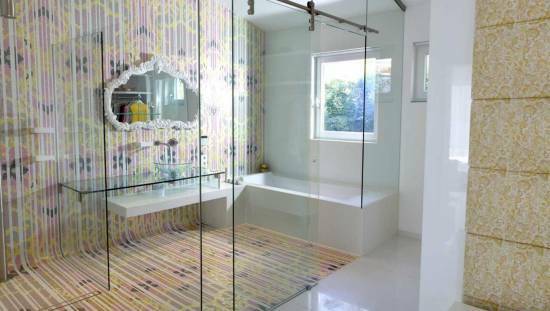 Below are eighteen bathroom wallpaper ideas which rock! Bold geometric prints are classic and timeless. They have a certain distinctive appeal which makes them a firm favorite with designers and home owners. These can be found in a variety of designs to suit every individual. 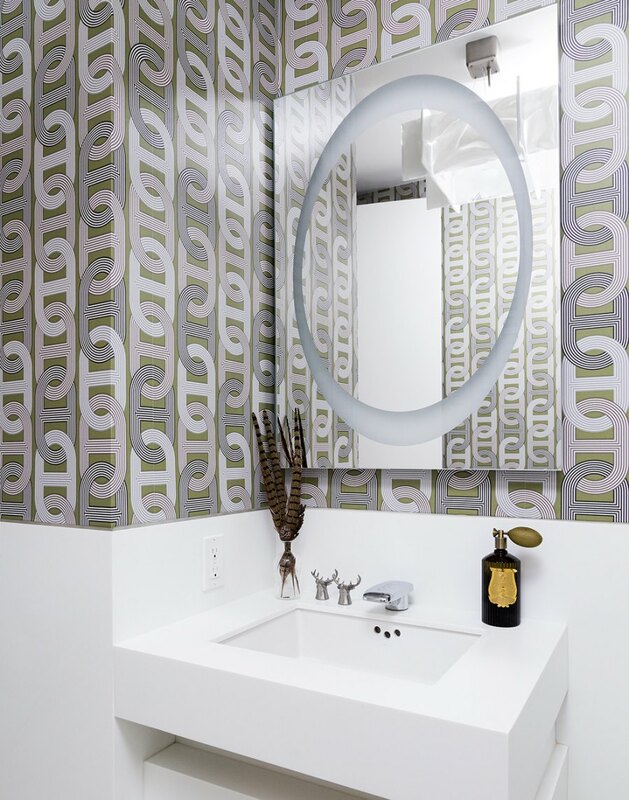 Let your bathroom speak for you with bold geometric bathroom wallpaper. These days women like to assert themselves. They like their surroundings to be a statement of actually who they are. 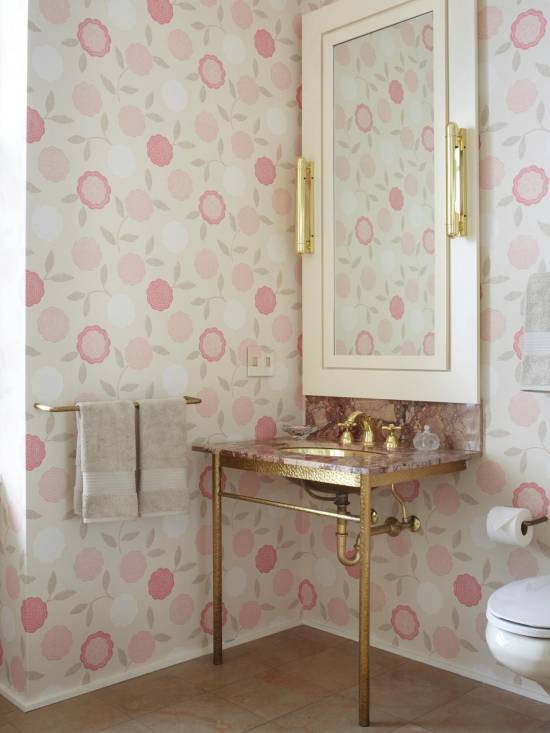 So flaunt your distinctive flair by splurging on all feminine bathroom wallpaper. Do you love flowers? Does the thought of exotic blooms fill your heart with happiness. Why not bring some of that sunshine to your bathroom walls as well. Choose from an array of floral fantasies and rock your bath time. Sophisticated and stylish monochrome looks are all the rage these days. From being sported in fashion weeks to being a staple in home decorations, monochrome works its magic every time. Are you a tad too luxurious? Do you enjoy the opulence in life? 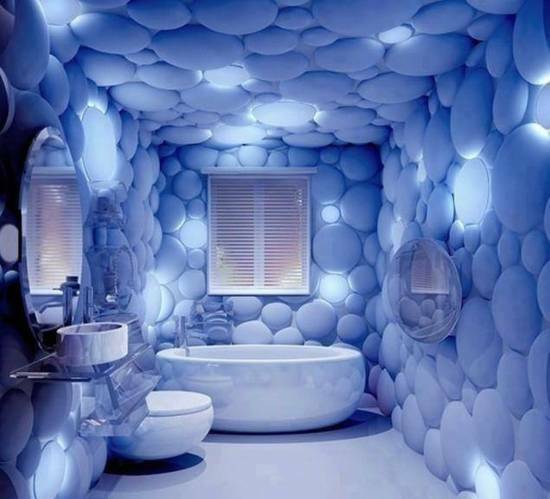 Then why not indulge your senses and get an extravagant looking wallpaper for your bathrooms. Children will have a great time in the bath if their walls are covered by their favorite cartoon characters. Children simply love colorful spaces. 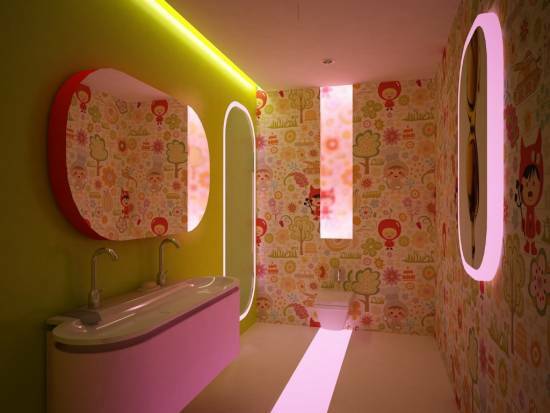 Add some zing to their bath time by investing in kids wallpaper for bathrooms. 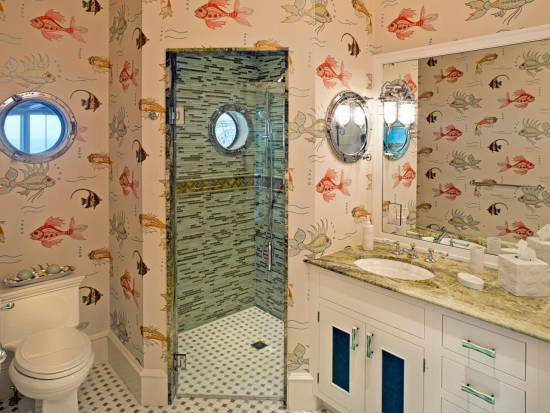 Kids love fishes and what better way to make their bath time more enjoyable then to invest in a scenic bathroom wallpaper with fishes on it. Are you the exotic sort? Would you like to indulge in a bit of safari fantasy while you take a leisurely bath? 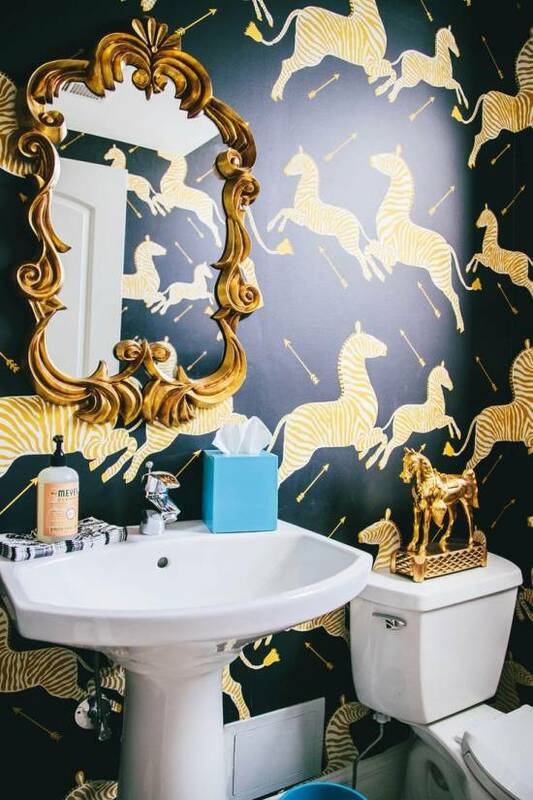 An animal print bathroom wallpaper would definitely do the trick. Everyone wants their surroundings to be classy. Why not check out a few classy looking wallpapers which are sophisticated and elegant at the same time. 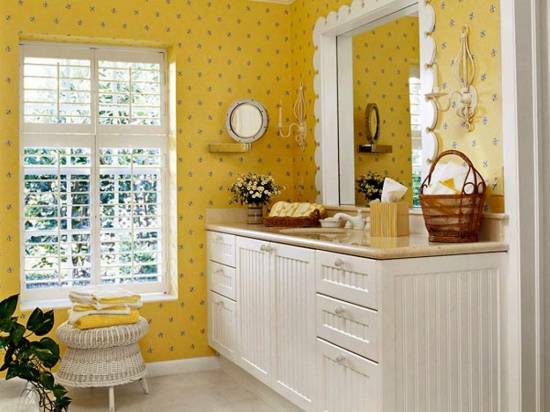 Bring in the sunshine and light up those dreary walls with the help of a bright sunny yellow wallpaper for bathrooms. Purple is the color of royalty. It’s majestic and comes in a variety of shades from mauve to dark purple. 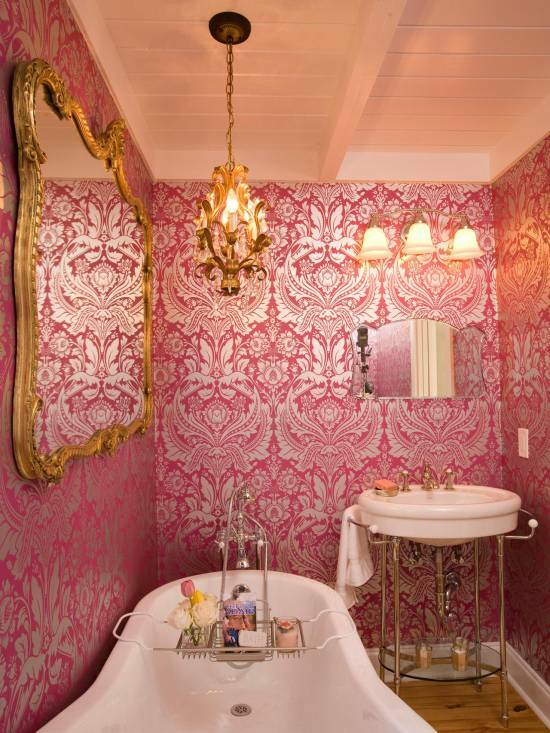 Splurge on your favorite purple fantasy to create a stunning bathroom. For a serene and quiet bathing experience invest in a Zen wallpaper. 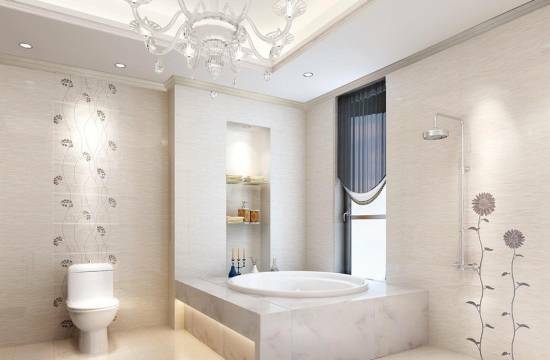 Its minimalistic appeal is sure to add a calming influence while you relax in the bath. Do you love all things historical? Let a Victorian inspired wallpaper do that for you. White is graceful, white is elegant and all in all it has a timeless appeal. 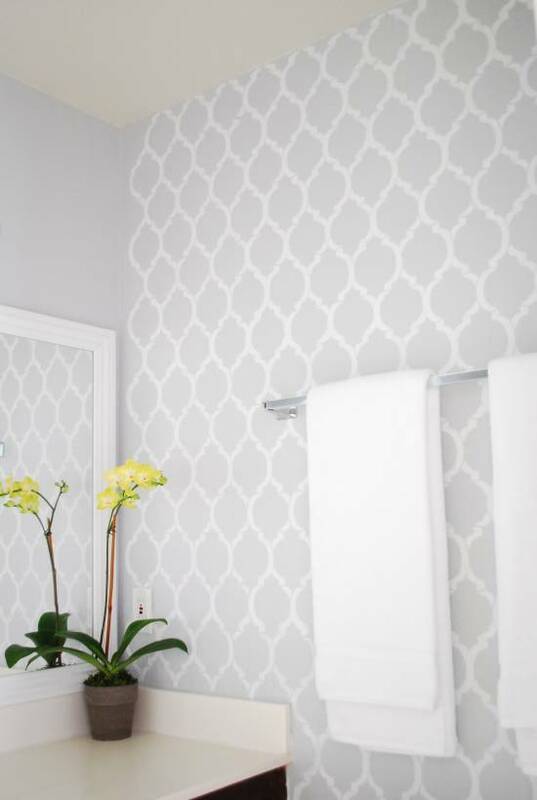 If you are big on white then use a white bathroom wallpaper with little or no print to enhance bath time. Ever heard of textured wallpapers? They give your room that edgy look and feel which is different. These can be used in the bathrooms as well! Gingham wallpapers look sweet and nostalgic. They are a reminder of a bygone era. 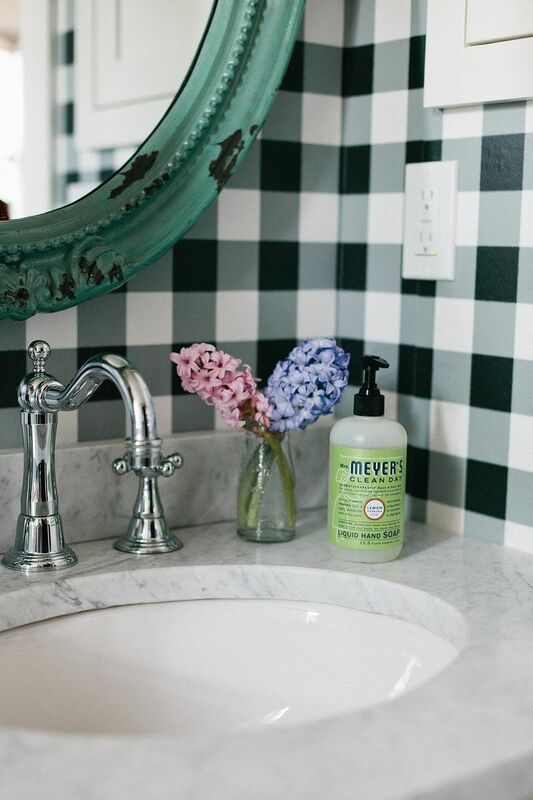 Relive the past by using gingham bathroom wallpaper. 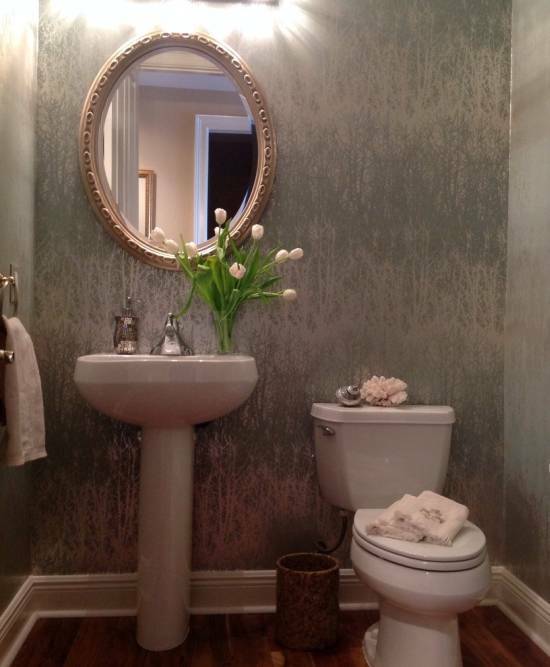 Invest in wallpaper which has a faux finish for adding a glamorous look to your bathrooms. Imagine bathing near the stars every time. Sounds pretty interesting? 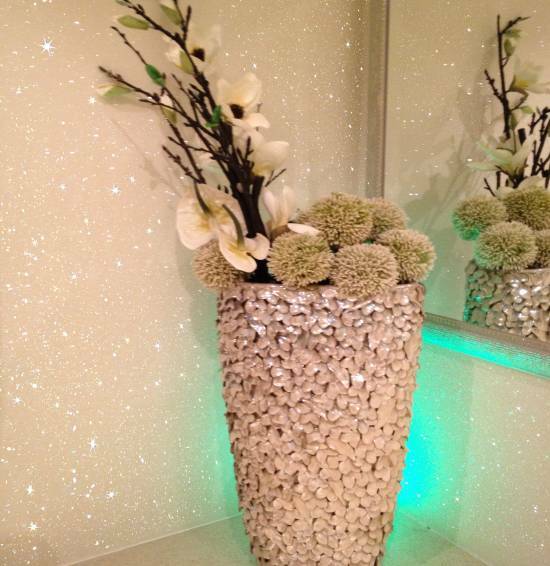 Why not select bathroom wallpaper with a shiny look to add that dreamy quality to your bathroom. 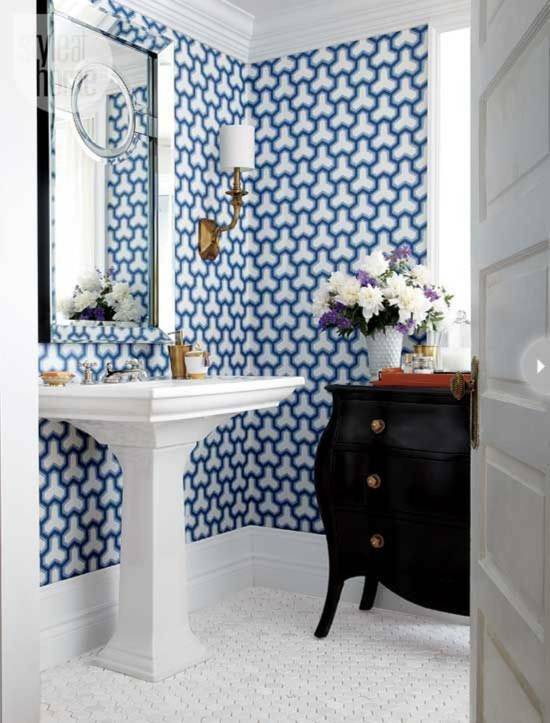 All these bathroom wallpaper ideas are pretty easy to incorporate. Not only do they add some life to your bathrooms but look great as well. Now you don’t have to worry about breaking the bank while renovating the bathroom. 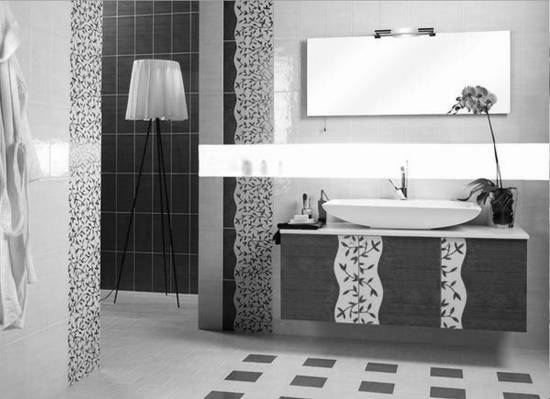 Simply choose any of the above mentioned bathroom wallpaper ideas.